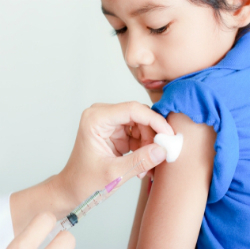 When the time comes to talk about a child’s vaccination schedule, many parents have questions about the risks associated with immunization. 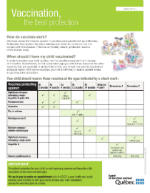 Some people worry that vaccines can cause health problems, or are sceptical about the benefits vaccination can bring to their child’s health. Many parents often turn to the internet for more information. The Internet can be a rich source of information, but what’s there is not always accurate, credible or trustworthy. Because of the amount of misinformation that exists online, parents need to be very careful about making health decisions based on what they read. What are the signs that a website might not have a balanced point of view? They all have links to other anti-vaccination sites. Many promote alternative therapies—such as homeopathy, naturopathy and chiropractic—as being better than vaccination for preventing infections. Many provide stories about children who had reportedly been hurt by vaccines. Parents—not people with medical training—were the main source for stories about the alleged dangers of vaccines. Asking a few key questions can help you decide if you can trust the information you find online. It is important to remember that nothing can replace the advice of an experienced health professional. Always discuss your health decisions with your family’s health care provider. Evaluating immunization information on the Internet: What can I believe? The website should clearly identify the person or organization that produced it and how to contact them. Look for an “About us” or “Contact us” link. It should also list any sources of funding or sponsorship. Has the site been developed by a reliable source such as a government organization, professional association, or respected non-profit organization? Is there a date showing when the information was posted online and/or last revised? If yes, is it current? Good websites date their content. Is there scientific evidence to back up the claims on the site? If yes, the site should provide sources (e.g., articles from trustworthy medical journals) for the claims (e.g., studies, reports, statistics). Remember that not all “studies” or “reports” are necessarily reliable. The best sources of health information are those that have been recommended by your health professional and have been reviewed by other experts in the field (peer-reviewed). Is the site certified by the World Health Organization (WHO)? The WHO Global Advisory Committee on Vaccine Safety has compiled a listing of websites that provide information on vaccine safety and follow good information practices. It’s worth repeating that it’s always a good idea to talk with your child’s doctor before making any health decisions. J’ai entendu que le vaccin contre la grippe était inutile ou qu’il pouvait causer la grippe. Est-ce vrai?